From racing a tuk tuk across India to partying on the streets of Valencia waist deep in tomatoes. 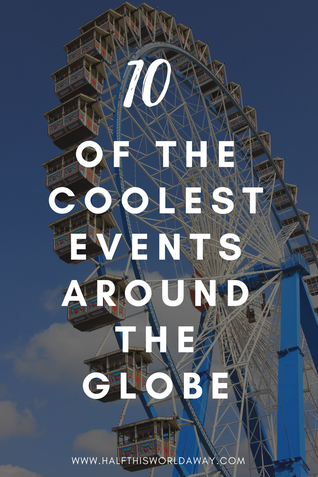 These are the craziest, most fun and coolest events around the globe for those in need of some adventure! 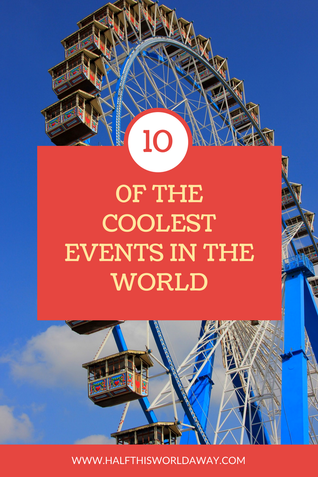 From the very best festivals in the world, to nationwide water fights and cultural experiences. 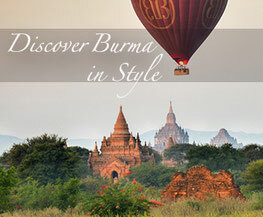 These unique experiences needs to be added to your bucket list! 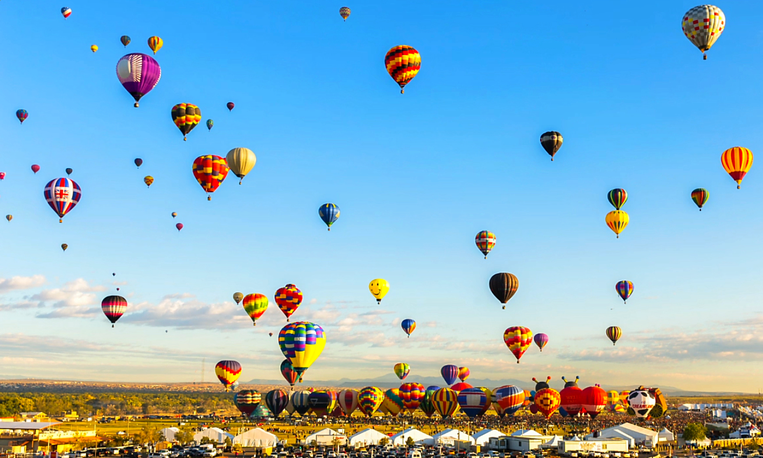 This festival takes place in Albuquerque, USA every October and it is the largest hot air balloon festival in the world. This annual event first started in 1972 with a grand total of 13 balloons, and it has now 'ballooned' to over 500 balloons taking to the skies over this 9 day event. This festival also holds the record for being the worlds most photographed event, and it's not hard to see why! At the end of August every year, a small town called Bunol, on the outskirts of Valencia, Spain becomes home of the biggest food fight in the world. 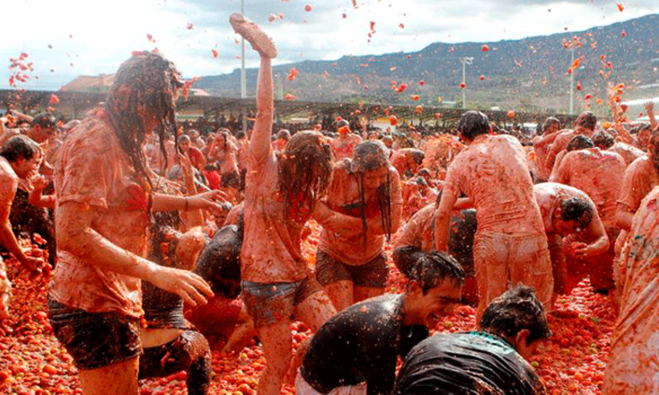 A 10 euro ticket enables over 40,000 tomato throwing enthusiasts to take to the streets to throw over ripe tomatoes at one another. An estimated 150 tonnes of tomatoes are used! 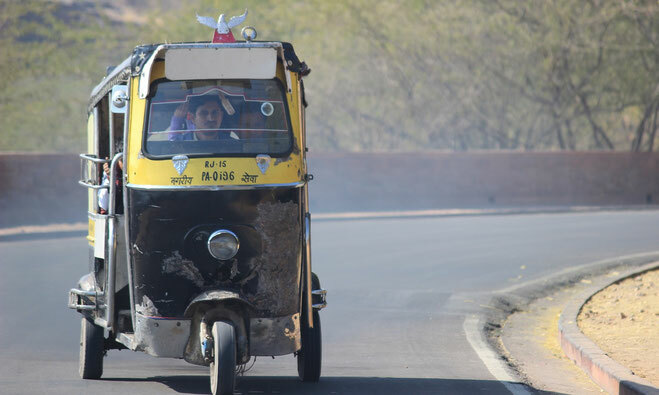 Fancy racing across India on 3 wheels? Well then look no further than The Rickshaw Challenge; often referred to as "an amazing race for the clinically insane". The classic route starts in Chennai in Southern India, from here you will endure 10 days of total adventure. Eventually finishing the race 950km away in Trivandrum. This is a chance to see and experience India up close and personal and is a never ending adrenaline rush from start to finish. 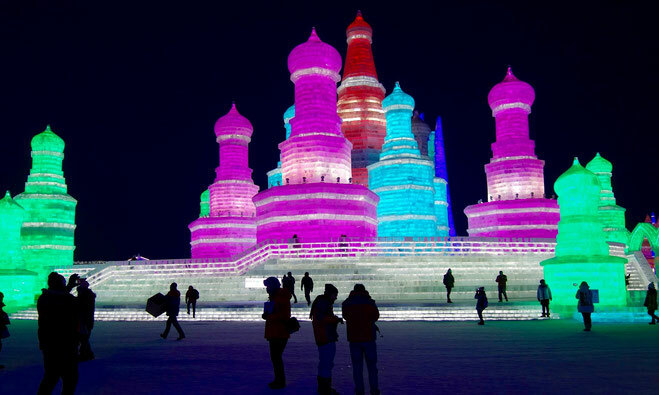 The Harbin International Ice and Snow festival is the biggest winter festival in the world. Open from December to February every year, over 10 million people flock to Harbin, China to see the incredible sculptures. Temperatures in this region can plummet to -35 degrees, however these are the optimum conditions for preserving everything from dragons to template carved out of tonnes of Ice. This is made of ice! Songkran Water Festival in Thailand is the start of the Thai New Year. This annual celebration occurs between 13th and 15th of April every year, and it has to be one of the funnest festivals in the world. I was in Cambodia, near the Thai border when this was being celebrated and everyone from Tuk Tuk drivers to school children had a water balloon at the ready! 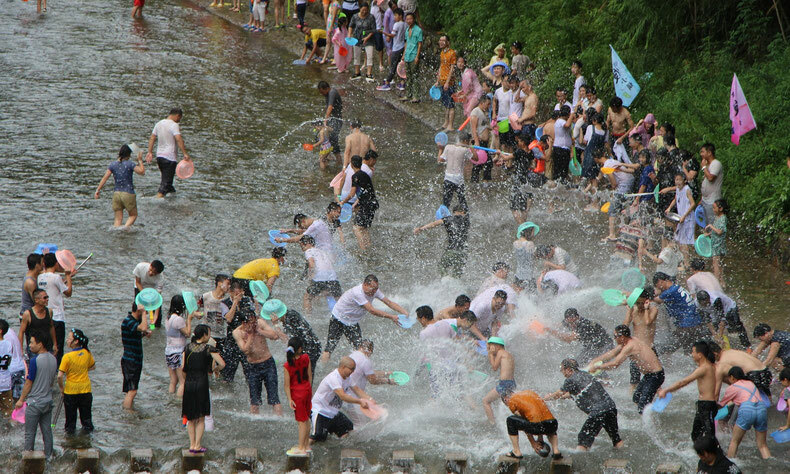 This country wide, non-stop water fight is definitely one of the bucket list! 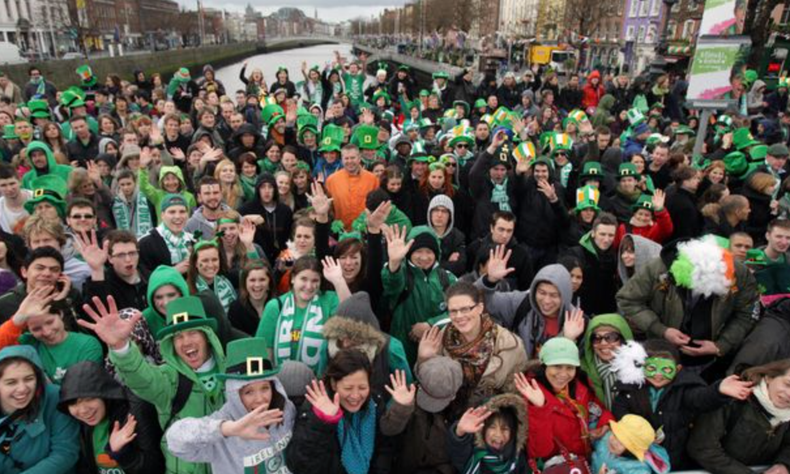 On 17th March each year, Dublin is painted green and leprechauns of all shapes and sizes descend on the city. St Patrick's Day has been celebrated in Dublin since 1995 and it is the perfect opportunity for Irish people, and those who wish they were Irish to celebrate their heritage and drink their fair share of Guinness! 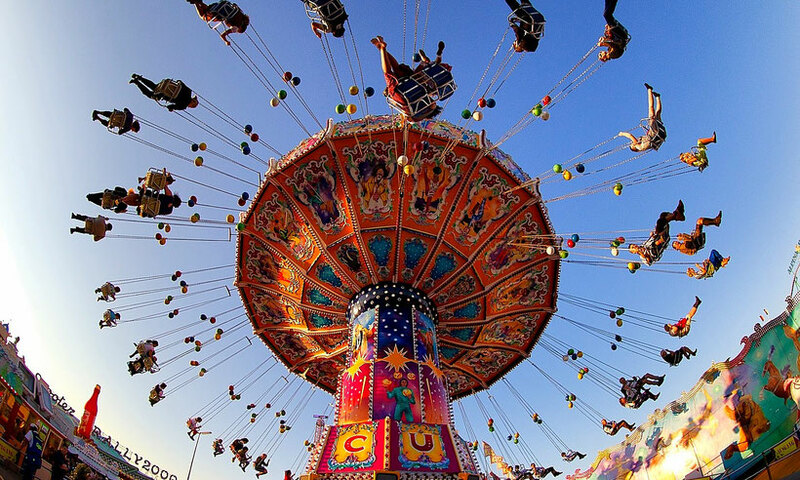 Oktoberfest is the world's largest and oldest beer festival. Where else would 6.2 million people flock to Munich to dress up and drink more beer than they thought humanly possible? For approximately 3 weeks every year, starting in September, it is time to dawn the lederhosen and pick up your stein glass. Dance on benches, sing your heart out to a live German band whilst prosting beer with new friends! We wrote a full guide to Oktoberfest which you can read here. The Rio De Janeiro Carnival marks the beginning of lent and is thought to be the biggest carnival in the world. Over 2 million people take to the streets of Rio everyday during Carnival to watch the parades and the samba dancer schools dance in their extravagant, colourful costumes. Rust to Rome is a road trip of epic proportions. The rules? 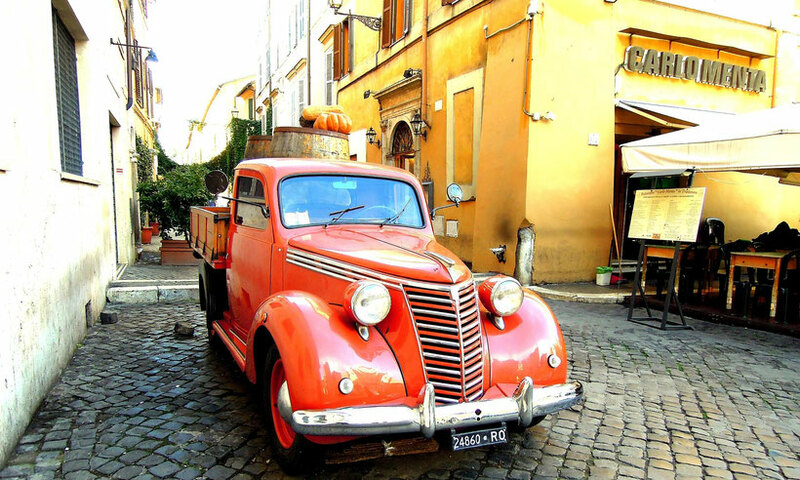 Buy a car for under £500 and drive on a designated route from Edinburgh to Rome in 10 days. 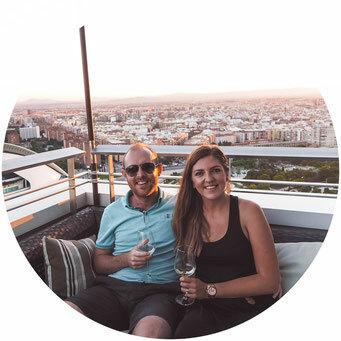 Each day there will be something spectacular to see and each night you can party with over rally drivers on this European adventure. Taking place in Lerwick, a remote Scottish island every January, this viking themed festival is one of a kind. 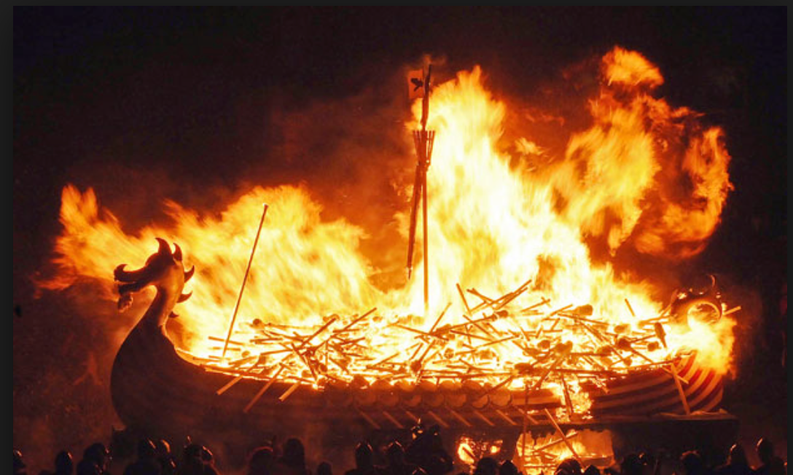 It involves a viking parade where over 7000 men line the streets with torches, followed by the burning of a viking boat! Could this be any cooler?